Yesterday, European finance ministers agreed on the creation of a single European bank supervisor, seen by some as the first step towards full banking union. In participating countries, the European Central Bank (ECB) will now take over from national supervisors as the regulator of all banks with assests greater than €30bn (or constituting at least 1/5 of their home country’s GDP). Currently, national technical standards for bank supervision in Europe are loosely coordinated through the European Banking Authority (EBA), an EU agency whose supervisory board includes representatives from each of the 27 EU member states. The UK, in particular, is keen that those countries outside the single currency should always be able to block decisions that could affect all EU member states. A report published yesterday by a House of Lords EU sub-committee argued that “the voting arrangements within the EBA [should] reflect the significance of individual Member States’ financial markets,” something which would potentially have given the UK (which accounts for 36% of the EU’s wholesale finance market) an effective veto. Instead, the agreement reached by EU finance ministers will see the EBA continue to coordinate rules across the whole of the EU (with the ECB also submitting to EBA mediation on the same level as national supervisors), but with votes now taken at the EBA through a “double majority” system. Essentially, as well as a vote amongst all EU members taking place by Qualified Majority Voting (QMV), there will now be two additional votes: one for those outside the single bank supervisor and one for those inside, with simple majorities being needed in both of these groups before any new rules can be adopted. We put this comment to Mr Enria, and asked him specifically how such a “two speed” arrangement might affect banking supervision. It is clear we already have now a set of member states that will move toward unified supervision for their banks, and some member states that, at least in the short run, will not. The way to make this work and to maintain the integrity of the single-market (which is a common good for all of us) is through common rules and a common approach in applying them. 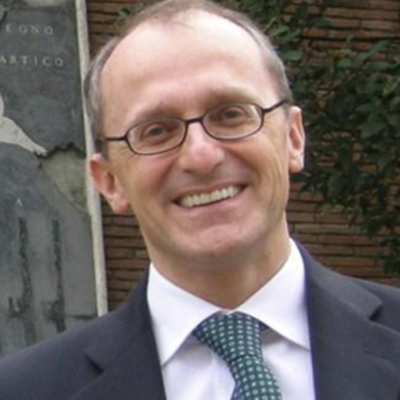 As a national supervisor [Mr Enria was head of bank supervision at the Bank of Italy from 2008 until 2010], I have been put under a lot of pressure in the past to adopt less restrictive policies because other national supervisors in Europe were doing so, and this created a competitive disadvantage. If we let banks shop around for laxer rules, the outcome is bound to be a less stable banking system. The rules need to be the same for everybody and have to be applied in a consistent manner in the whole EU. And these rules should also be decided jointly by everybody? Yes, absolutely. Everybody should be at the table, everybody should have a fair say, and, eventually, everybody should accept a majority rule. The way of staying together is to make decisions together through majority voting. For a different perspective, we also took Rallan’s question this morning to Malcolm Harbour, a British Conservative MEP and Chairman of the European Parliament Committee on the Internal Market. How would he respond to Rallan? Well, I don’t think of it in those terms. I see the EU as a collection of networks; I think the single market is a really crucial network within that system that will operate strongly for all members of the European Union, and this single market network has very developed links both internally and between other networks. Now, some countries in the EU have, in addition, agreed to develop a stronger economic and fiscal network. That eurozone network will need to have strong links with the single market network. But I don’t accept that this is in anyway a relationship that is good or bad. The eurozone is not a competing network, but a network with a different sets of rules, and the single market will continue to operate by its rules. The UK has always worked networks brilliantly, and will continue to do so. In terms of future negotiations, the UK must ensure that we remain involved with the other key players in making decisions. The alternative would be to remain in the network but not influencing the rules, like Switzerland or Norway today. There is some talk about adopting this approach in the UK, with Britain going for a relationship like Norway. However, I agree with [Prime Minister David Cameron] that such an approach would be a mistake. I tend to agree with Andrea. This is maybe the most important step to repairing the system: we need to let banks fail. We cannot live in a world where the gains are private but the losses are borne by the taxpayers. There has to be the possibility that banks can fail and exit the market in an orderly fashion. How would Mr Enria respond? Part of the resolution strategy should involve a resolution and deposit insurance fund, financed with fees paid directly by banks. However, it is important to acknowledge that there would have been no private fund at the national level that could have sorted out the liquidity and solvency problems banks experienced during the crisis. With the single market and the euro banks that have become European in size; we need to move towards a European-wide fund. What do YOU think? Without a single bank supervisor and a common resolution and deposit insurance fund, critics argue that the European banking sector is more vulnerable than comparable banking sectors, such as that in the US. 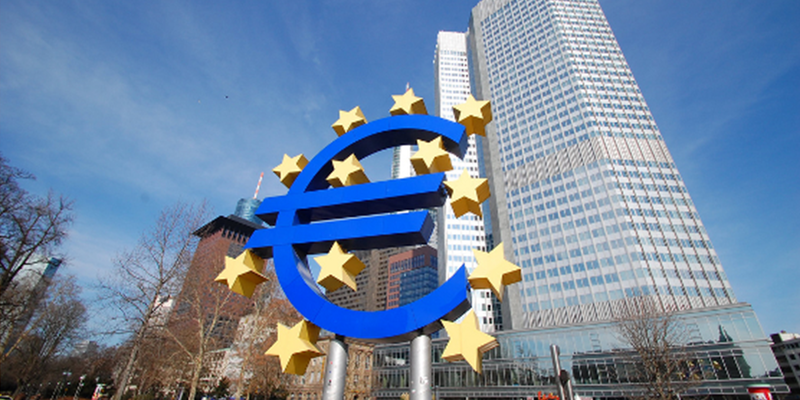 Does Europe need to move towards full banking union? Or would this see healthy banking sectors being forced to bail-out those banks that have taken too many risks? And what should happen to those countries that decide not to join a banking union? Should they be able to veto decisions taken by the eurozone? Let us know your thoughts and comments in the form below, and we’ll take them to policy-makers and experts for their reactions. Yes Europe need banking union but she do it one more time without involve european citizens. It’s time for an european democratic system. Europe needs tax union, where pension (yeah, they still exist) are not double-taxed between states (eg. works 40 years in Germany -where pension is taxed-, returns to Italy -where his german pension is treated as income and thus is taxed -again-). Both, banking and tax union, are two elements of monetary union. IMHO can’t be treated separatedly. ?t was too late for a supervisor but it is so possitive for future. The banking system is the backbone of european unification.Unless we start aiming at the formation of the United States of Europe,the European edifice will collapse sooner or later. The wise leaders of the post II world war era knew that a shattered Europe, a Europe of conflicts,would be vulnerable and would fall prey to the power of the countries that are big,united and a lot more tolerant than the majority of the northern european countries. After the numerous casualties of two devastating world wars, we should have become wiser. Unfortunately today’s leaders are so narrow-minded that they simply implement short term policies for the sake of being approved of by their voters. The problem is that they are either incapable of convincing their parliaments and their voters for the necessity of a federal state or they simply do not believe in a European federation. the big fish will eat the smaller ones, then they will eat each other…and in the end,,we will all be poorer because they will monopolize the wealth of the europeans. lately, whatever was done in economics was a disaster for the citizens of europe.we are all getting poorer…because of greed.the communistic system fell because of lack of profits and motivations to become better …the over-capitalistic system will also fall soon, because of lack of purchasing power by its own consummers, the desertification of industry, joblessness and too much profits in the hands of a few….a fair distribution of wealth within democratic and respectable rules is one of the solutions to all these excesses.. Yes Europe needs a banking union anda i think also transform itself into a federation of states so the richer like Germany will help the poorer like Portugal ,Greece ,Ireland and Spain. No, it won’t change a thing. The European Union will not last very long and if Europeans are so stupid as to continue on this road they will suffer a lot because they will become much poorer with time. The Euro has already lost too much value since its inception a decade ago. Only a decade ago! All things considered the European Union faces many challenges. The problem is not the banks, but the political system. Too much government. Too much preferential treatment. Plus the supervising agency will easily be bribed to overlook shady government policies directed towards helping big banks grow even more. It’s a mess and it’s about to get messier. Europeans are stupid to give the government so much power because the crisis proved those people in power shouldn’t be given more power. The problem is not the banks. Borrowing and lending have existed since the dawn of time, but government involvement in those operations and preferential treatments (crony capitalism). They are humans, therefore corruptible in nature, like the rest of us. The more power is concentrated in the hands of a few, the worse off the rest of the population will be. They drive people to where they want them to go to serve their interests. It’s a big pyramid scheme if you look at it in economic terms and really there’s no other way to look at it. With the introduction of the euro the EU has put itself on a train that cannot be stopped. That’s not only a fact, it’s the right thing to do in my humble opinion. But let’s face it, the train is moving while the driver is sleeping and is missing all the problems along the way. That has to be changed. To make the euro, eurozone and EU work, we’ll have to push forward towards a true European federation. Because of the simple fact that that’s only way to reconstruct confidence in the European project. If the member states are not willing to take that giant leap, the train will eventually crash and it’s going to be a nasty crash. And tell me honostly: do we really want to go back to a continent with closed borders and 30(ish) currencies. Hell no. The banking union is the first step towards a federal future and I firmly believe it’s a step in the right direction. Herman van Rompuy’s masterplan is spot on. The timeframe is maybe a bit too ambitious on other themes, but the banking union has to be created to stabilize the euro as soon as possible. Speaking about the other aspects of Van Rompuy’s vision: let’s start with repairing the democratic deficit of the European Union by giving the people of Europe a real democratic election in 2014 with a chance to choose their own president and members of parliament. Once we’ve got democratically chosen European leaders the trust of the European people will come back and the road to a federal future is opened. Plus they don’t talk about the cost of the new supervising agency. Because when they say “single European bank supervisor” it sounds like one guy will be watching over the biggest European banks, but it’s really a whole new agency being created for that purpose and that means you have to cut other programs or tax Europeans even more to pay for it. Europeans are already overtaxed. There are other more efficient ways to end this corruption and that’s by reducing the size of government, cut spending, get rid of the income tax, let people be in control of their lives since government has proved to be inefficient in allocating and using our resources. This big European Union is not working and it’s wasting way too many resources for the poor results it generates. What Europe needs is the dissolution of the eu. Freedom of labour & business initiation (i.e. the fact that from Glasgow, I can go online, rent a hot-desk & apartment in Helsinki or Tallinn, register a business in that country, recruit a team from across Europe, fly there next Wednesday, open a business bank account & start trading right away)? If you’ve ever explored the option of opening a business or working outside the EU & EEA, you’ll realize how important the EU is for human freedom and economic success. Customs union? The EU has a highly integrated economy – the UK does 70% of its trade in goods & services with the EU. And yet, the EU is also the strongest force for global free trade – we do 3.4 times as much trade with the world as the US does (despite having similar consumption levels). E.g. we have free trade with Turkey, South Africa & South Korea, we’re finalizing comprehensive free trade arrangements (going deeper than NAFTA) with Canada & Singapore, and we’re starting similar negotiations with Japan (and hopefully the US, as soon as the Canada deal is through). The EU is great for removing barriers to small businesses expanding internationally – and for wider economic growth. What bits of the EU would you want to dissolve? If you stick to CAP & CFP, I agree with you. But the UK has achieved so much in the EU (we’ve been the hardest pushers towards global free trade; it was the UK that built and makes most use of the European arrest warrant, etc). Broadly, the EU is a great thing (at least for us in the UK). So which parts of it would you like to change? Usually those ideas go in the way that aditional costs are invested in information systems. A lot of new people in the reporting area. That institution will need information support, big data warehouses, data mining,..of course it is the challenge…but a lot of money for investing for added value that bring no real product added value but only IT solutions, people employed in auditing area, …money from this will be payed from EU taxpayers. And usually restrictions and decisions from such authority is affecting smaller people. Speculators and lobbist usually find legal solutions. Guess this could be solution when EU is more relaxed, free of all these pressures. Now is the time to help people to feel in Europe as in community. Europe is felt now as uncertain entity full of guilt and burden. Big guys behind big desks are sending strong messages to the smaller and more vulnerable communities , talk to their corrupted politicians who then see only EU bureacracy tendency and afraid to talk to their people about vision, new forms of how to produce added value. Essence of creative and relaxed life is broken. Guess every day there is fear for every new direction or regulation. Instead to make daily life easier is more and more complicated. There are so many regulation sets Basel-2, Basel-3, Solvency, …so many treaty standards, …IT industry is getting rich and complicated just on this complexitiy which brings no added economic value in material goods. Guess it is time for some invetory of the complexity of Eu union. Because the system is more and more eating own people. ?f you want to product high technology, instead of to come back to natura,the relationships of production confuse inherently.Because for the high technology production is sofisticated organization necessary.Read Karl Max for that.But it is poison,for antidote together should read Max Weber and Sigmund Freud too.Of course the problem is systemic but all of corruption is realised above the banks. There is a concentration in the EU but it is at the scope of base corruption land, namely the banks. ?f you can achieve to check with very strict audit, you can reduce costs.Besides Euro is not lower value than the initiative time. There is a winner or a few winner in every economic crisis.The winner of crisis is Germany and perhaps Austria with Switzerland. Of course the reason is Germany. ?t achieved to project to the EU the costs of reunification of itself.Meanwhile it developed the structure of EU and the relationships of production. Actually that outcome is Justice. Consequently Germany the loser two World War is the most important problem for the EU and of course for the World. Then we will need to save Europen Banks!!!! No thanks, just let us go to our lifes please! More job for the boys,… now we have at BCE the former PT national bank, see the results of his jurisidction…. I agree with the banking union, as long as there is strict supervision. Uniting the banks might make the stronger, thus greedier… Unite them, and then place someone over their necks to make sure they do not mess up again big time… Bring it on!! Will it be the bank of the Rothschilds or the bank of Goldman Sachs? And how it did fo Greece. I think the first step towards liberating EU States from financing banks has been taken by excluding banks of Italy and Spain from State Budgets. Therefore, states no longer have to fund those banks who fail to comply with market conditions or financing standards. All member states should argue and agree to that being implemented by a higher authority. This way, bank dellution wont hurt state budgets or even hurt banks from state haircuts on bonds that create losses to banks. I agree that a bank control mechanism should support profitable banking institutions and allow for the exit of delluted ones. At present, EU States have comprised of nations with unique social and economic characteristics and therefore countries cant utilise same regulations, policies or measures in unison. Firstly, authorities have to create groups of banks with common characteristics and economic prospects. How else would be possible to regulate a bank in Greece that operates in a state of recession with a bank that operates in Germany with less or no recession. Therefore individual country characteristics should be taken into consideration before banks decide to be treated as same organisations all across EU. This means for example that southern european countries would consitute a unique group to study and regulate through EBA vs Balkan Banks in Bulgaria, Romania & Poland that posses different characteristics.Same for Scandinavian Banks that would be another group of Banks. Then, would be easier more realistic and more flexible to sustain a uniform control and support mechanism across the various groups of Banking institutions operating in subsegments of European Economies. Guys, why are you usurping the label Europe only for the EU? Besides EU there are Switzerland and Norway, and Serbia, and Ukraine, and Russia, and Belarus and so on… It`s disgusting! We got all these unelected clowns running around in Brussels who pay no income tax, have lavish salaries and then preach down to us that we should pay for even more. I think not. We do not want to pay for Spanish and Italian and French banks. Nor do we want even a dime of our money to transfer out to Club Med countries. Stop the madness. The first thing we need to do is to abolish the wealth-destroying Euro. The Euro benefits the rich and hurts everyone else. Only elitist sociopaths would want to keep this wealth-destroying thing around. And a pension/tax union? I think not, Brussels unelected crowd shall not control our pension funds. Funny how the ones asking for solidarity are all those who would be on the receiving end of it or wannabe elitists hoping for a tax-exempt job in the Brussels Kremlin of the Eurosoviet Union. we are fighting it mate….but you see how they operate….the eu is Europe…Europe is the eu…if you are against the eu you must therefore hate Europe…..remind me what kind of regimes and their adherents behave like this?. The same debate every year, it goes on and on…one bank ? one leader ? one voice?…it’s HIGH time to make decisions and show results ! Eu need to focus on many areas not taking the step of banking union. it is the right time for the end of debat not creation of single european union, many country has taking too much risks on this rows. If we look at the UK and its Financial Services Authority we see that banking supervision etc. did not work very well. the bust banks there show that oversight failed too. Maybe a EUropean level supervision will work. BUT not if it is as badly run as the UK one. The UK is not part of this plan – it only applies to EURO countries. This makes sense, that one currency has one supervision. But if the corruption of members like Greece or financial holes like in Spain and Ireland are not dealt with it will make little difference. The mooted Northern European union would be much more effective (Finland, Deutschland, Nederland, Luxembourg, Belgium, �sterreich) and later if they want Sweden, Norway and Denmark. the eurocrats knew Greece was not capable of joining the euro…so they broke their own rules to let Greece join….now they all but own Greece. Hasan, 62% of the Germans are Christians and more or less in equal parts between Protestants and Catholics. Why then the Protestants should manage Germany? Nobody cares about religion on European politics. Only in developing countries religion is still important. Religion is a hate business. Mr.Tavares, actually the religion is a peace business like money but unfortunately mostly the both of them are a tool for the hate too.? advise you that watch the Godfather 3 film as a metaphor. ? know what the religion structure of Germany. The problem is not a religion or the Sect.Big and organised thefts is realised for some big ideals usually. The ideal might be a sect or religion or race like Hitler. ? mean that the economical crisis is not a natura disease. The crisis is created by somebodies usually and there are the winners of every crisis always. ? advise you that too read Homer’ epic Troya War and Odisseus again. ?f the winners do not win, a war is unavoidably. The reasons of Wars might seek different but it occurs due to do not win of the winners always. Sorry Hasan �zdemir I do not agree with you. It just a question of studying History. Life of nations have lots of religion persecutions, wars and killings. Not only the Islam had spread by the sword, but Christianity and Jews have been involved in religion wars. If you read the Quran, the Bible and the Torah you will find many statements full of hate and preaching killings. The only religion that is more peaceful is Buddhism but Buddhism is a religion actually without God. Is more a lifestyle. You cannot tell me I am wrong or I will do a few quotations of the Quran. But my point was about religion is not important any more in Europe (with the exception of Nothern Ireland). Fortunately, we had overcome that question. The only religion problem we have in Europe is brought by Muslim terrorism. Vicente Silva Tavares , the Hanifa denomination of Sunni Sect does not understand the Quran only literally. The Quran was read and was commented according to a lot of explanations by theogists like Thomas Aquinas. Some Selefists and Shiites understand and comment the Quran literally and unfortunately the terrorism was carried on by them to everywhere like Hashshashins or al-Quaeda. Every Hanifas accepts to assassinate as a big sin as religion. Besides ? do not presume that Europe had sublimated the religion thoughts of itself. Otherwise Vatican and Opus Dei would became only a ceremony association. But as you know if Pope speaks, all of Catholic politicians listen cautiously, even do not obey. You know Hasan �zdemir, I always smile when you refer Opus Dei and the Pope as important influences. It is not my perception. I live in a Catholic country where it is perceived that the Masonry is the most powerful influence over politicians, the guys of Opus Dei are seen as some residual fanatics, the churches are empty even on Sunday. My perception about politicians and the Catholic church is that its influence had faded, the newspapers talk about the church crisis with the lack of candidates of priests, now some priests have to do several villages when this was impossible to imagine in the 60s. I think your perception is out of the time. Your perception about Catholic church is about the 50s and 60s of last century. The times changed and you need to refresh your conceptions. Actually if there is movement with important influence on politics over Europe is the Masonry which cross all the political spectrum. Concerning the Quran, I have been in Muslim groups of discussion on Hi5 and all Muslims refer one thing: The Quran is the actual words of Allah and must not be reinterpreted with the actual times. Everybody said it must be understood literally. As you know, there are the hadiths to interpret the Quran and here, they say, not everybody must agree, but over the surahs, nobody can say it is not valid any more. You are committing blasphemy if you say that the Quran is not actual literally. Beware my friend, some Wahhabi can read you. It is no point to discuss religion on this forum, so I am not going to talk about the Hanif school. Vicente Silva Tavares you might smile but it runs on the high Catholic politicians and Judges yet. Once upon a time somebody was smiling to Hitler or Stalin. Leon Trocki had ignored to Stalin. Majority is such as a gravitation in crisis. Yes, Masonry may be influence over Europe also but Vatican might not be out Masonry too. Members where inside of ?nsentived power structures have got so sophisticated relations in different assosiation. Because big money can be able earn only inside of so the structures. All of people want to go to Heaven but anybody does not want to become a martyr. We will see what who stayed in the History. You distort my explanations concerning the Quran or you misunderstood me. Yes of course the Quran is the actual word of Allah for Hanif and Maturidi school also. But like you will can not be able know to Aldebaran star exactly, the Quran can not understand by ignorants. There are resources for a Hanif as beside from the surahs and hadiths too. Common outcomes “icmai ummet” and “rey”. Wahhabi believes only the surahs and the hadiths. Hasan, it is weird in a forum about Banks to discuss religion. Did you notice you are the only one bringing in the religion issue? Nobody else speaks about religion but you. And by hazard you are a non European and a Muslim. Your vision is from a Muslim point of view, because in the Islamic world there is a religious revivalism. We do not care about religion and of course is annoying that an outsider always bringing in the religion question. Catholicism has almost 2000 years and is an institutionalized religion. There is not religious fever any more. We are not in the Middle Age any more. The ones putting in question the secular State are you, the Turks with Erdogan and all the people that voted him. And to finish, accordingly to Wikipedia, 87% of the Turks despise Christians. Why on hell do you want to join to an infidel organization? To kill and convert the kaffirs as said in the Quran? Mr.Tavares, you distort my explanations again. ? speak over the Catholic traditions and traditional life actually since the initiative instant, not religion. ?n contrast you speak over the religion insistly. ?f a debating is over the solution, you should think in question to solve the traditions of banking firstly. The tradition might be a sect or religion or culture or ideal or style of thought or lifestyle.Actually ? debate an production quality, even Law, not Catholisism The relationships of Turkey and EU leans some agreements, not your faith or your wish how Europe should be a close box. As you know ?’m not a Turk as ethnic, I’m a circassian and therefore ? was stolen in Turkey by fascists which supported of Germany. Same fascists achieved to influence or to corrupt the judge of ECHR. Namely even if Turkey does not attend to EU, Germanic ambitions of Germany attends to Turkey. Unfortunately the fascists of Turkey are Turks due to majority. Therefore i think that Turkey can not challenge against that policy of Germany in Turkey. We should challenge against that policy in EU. Mr. Erdo?an wants same thing too, if EU will not become only Christianity assosiation. ? had said you before that; Turks are too flexible and if EU starts to enrich again, that 87 percent changes to 17 percent. Majority is not influence , if crisis is absent. EURO is a Huge Fiasco.That`s all.Finish,Kaput. The architects of the single currency did not consider the impact of capital market The architects of the single currency did not consider the impact of capital market integration on the banking sector or on the relationship between banks and national governments. There is a need to stabilize the overlap between economic union and monetary union. The internal market for financial services started to disintegrate once the markets lost confidence in the security of their cross-border investments and investors began to pull back their capital. Most of the damage done to peripheral economies during the crisis comes from the rapid reversal of capital flows across the single market and the requirement for national governments to bail out the banks. In order to solve this crisis, or better evolutional change, is the creation of a banking union. However, this is only part of the solution as the euro area also needs a common ‘risk-free’ asset or “eurobonds” to use as a safe haven in times of crisis and prevent the sudden evacuation of liquidity on the periphery of the euro area. The monetary integration will strengthen the interdependence across national banking systems and between national banking systems and government finances. Hence, a banking union is essential to break the vicious circle between sovereign debt and bank debt, to align regulations and supervisory practices across EU member states; and to strengthen European banking. Dwell on this for the coming year. The end of Globalization will be the best political outcome of our insane subservience to those who created greed and mayhem. EU is becoming a new USSR. Unelected bureaucrats and comissars are in control and democracy is dying. EU and eurozone should dissolve like the USSR. Οtherwise, there will be less democracy and more misery for the people of europe. russia. And crime rate is very high because the country is full of muslim illegal immigrants who commit murders and crimes.